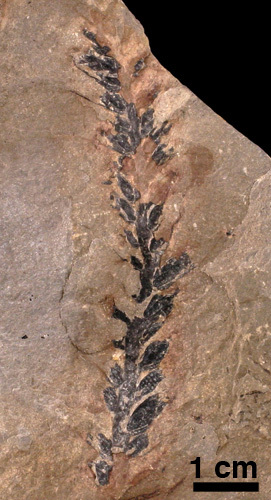 Cordaites are Carboniferous and Permian seed plants that are considered to be related to conifers (or they may be the earliest conifers). Cordaites are reconstructed as growing as trees and woody shrubs, and some have proposed that they even evolved a mangrove habit with prop roots. 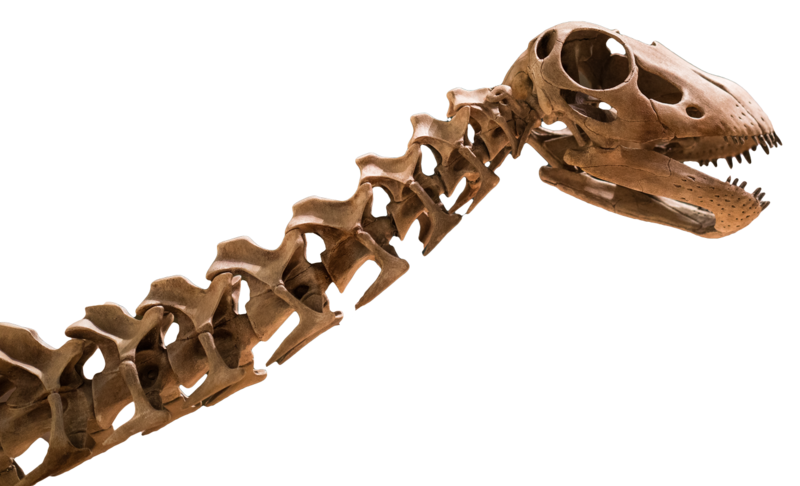 As trees, evidence from petrified logs and stumps indicates that Cordaites could reach over 100 feet (33 meters) tall and over 3 feet (1 meter) in diameter. 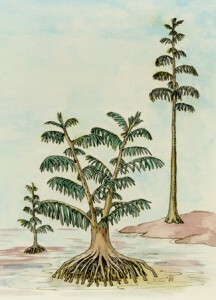 Cordaites grew both on dry land and in wet swamps throughout their range. Cordaites is the name (= form-genus) for isolated leaves and is also the name that is given to the Cordaites plant when talking about the entire biological organism. 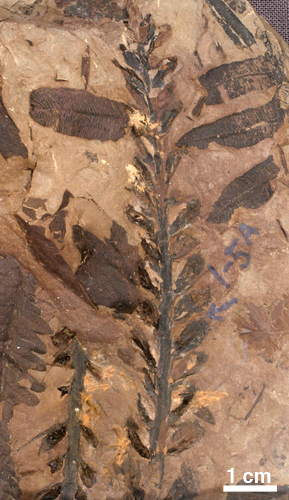 Cordaites are long, strap-like leaves with nearly parallel edges. Numerous, closely spaced veins (many more than eight) run along its length; none of which are more prominent than others (no midvein). Cordaites are so long that they are rarely found complete. 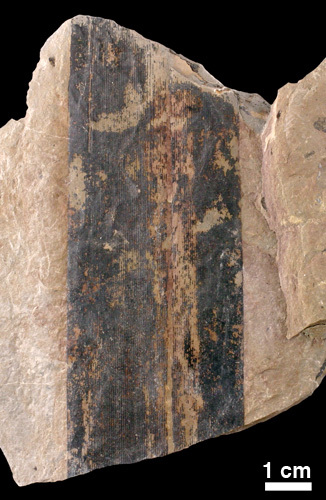 Cordaites can be distinguished from the only other long, strap-like leaf (Lepidophylloides) by the numerous veins and the absence of a prominent midvein. Cordaitanthus is the name (= form-genus) of the ovule- or pollen-bearing “cone” of the Cordaites plant. 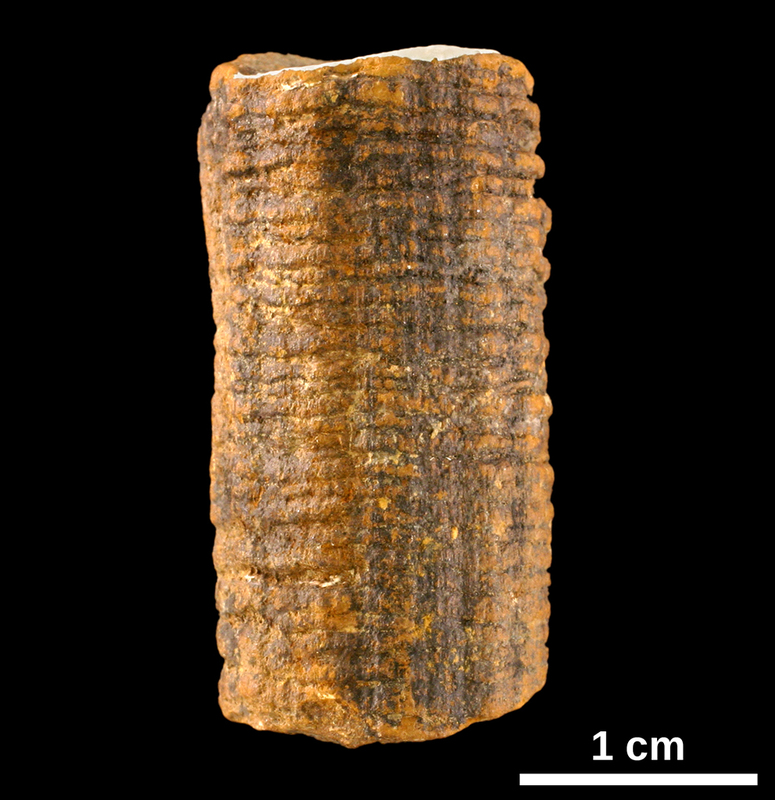 Cordaitanthus is similar, but not identical, in form and structure to cones of modern conifers and for this reason Cordaites are believed related to conifers. 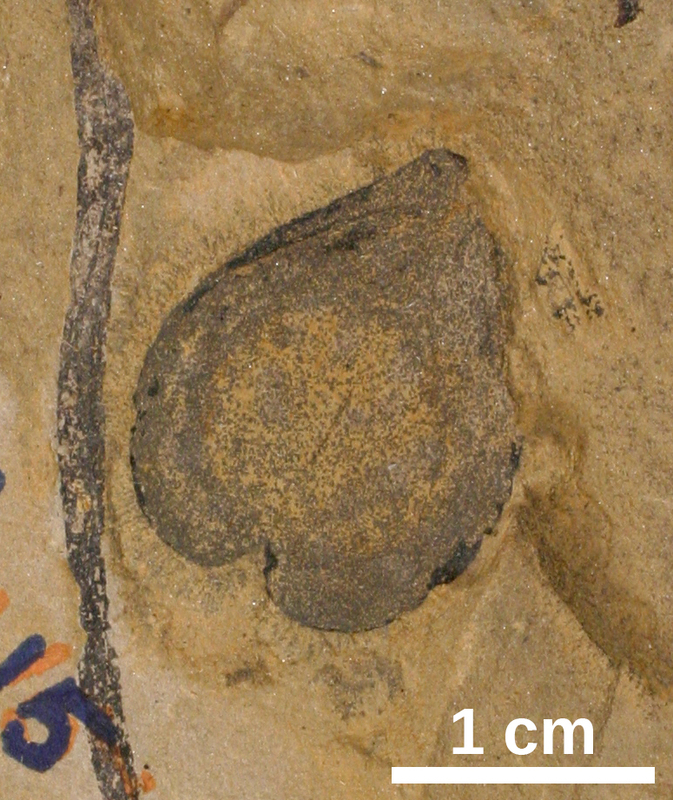 Cardiocarpus is the name (= form-genus) of the seeds of Cordaites. Heart-shaped (hence the name “heart seed”) and winged, these seeds are relatively rare in Oklahoma’s Carboniferous deposits. 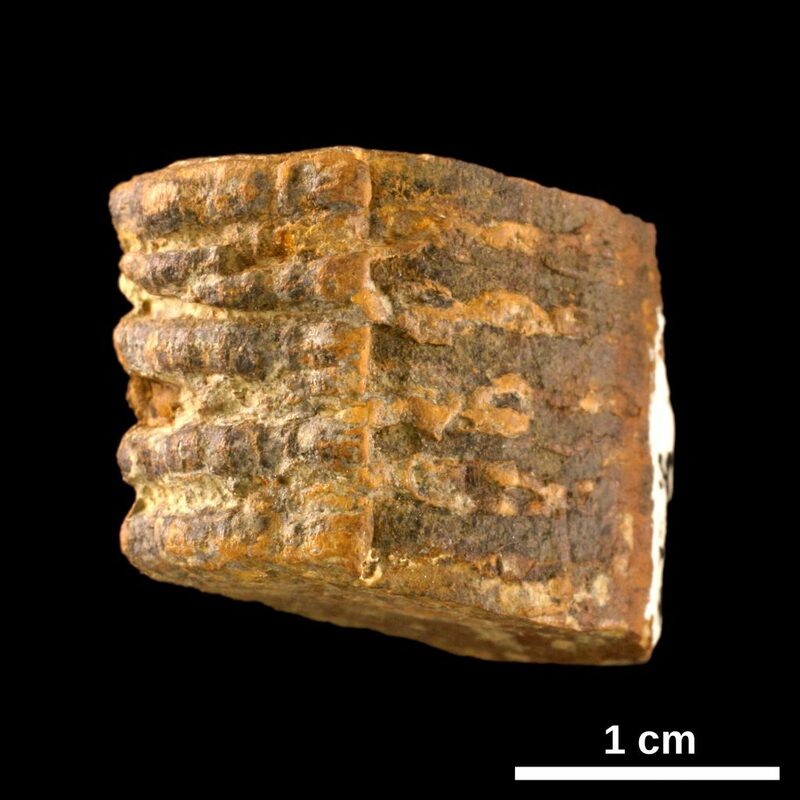 Artisia is the name (= form-genus) given to pith casts of cordaitalean stems. The pith is a central region of the stem consisting of tissue that easily decays forming a hollow that may be filled by sediment. This central pith cavity is crossed by bands of more decay-resistant tissue that persists giving Artisia its horizontal bands.